Yuri Ya. Latypov, A.V. Zhirmunsky Institute of Marine Biology FEB RAS. This monograph is the English translation of 5 books which originally appeared in Russian, and was published by Nauka in Moscow (Latypov, 1990, 1992, 1995, Latypov, Dautova, 1996, 1998). It also is advanced and added with data on all Vietnamese reefs and corals distributed on them, components according to all available information from 350 species. The publication mentioned above were translated into English by Elena Kogan and Yuri Latypov at 2006. The translation was supported by a grant from the International Society for Reef Studies. 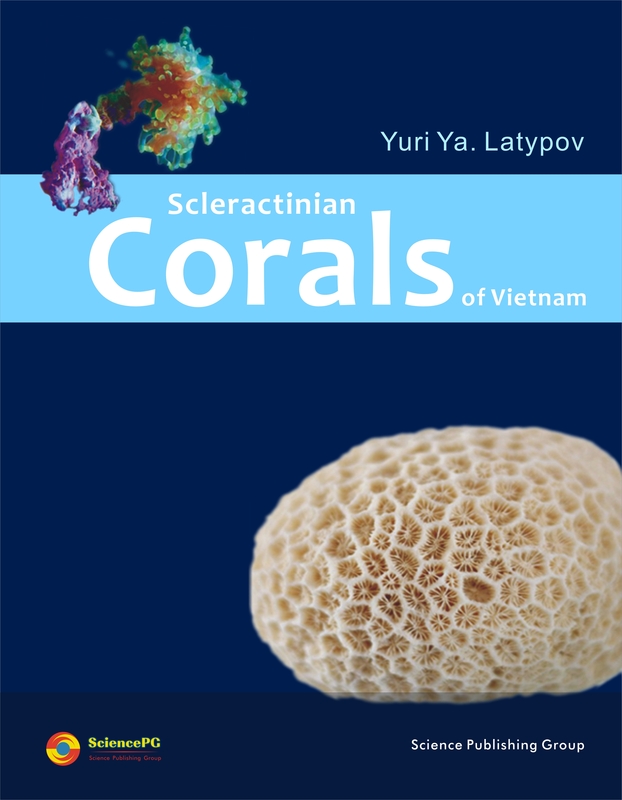 Laboratory and underwater photos of corals were made by the author. The collection described kept in the A.V. Zhirmunsky Institute of Marine Biology of the Far-Eastern Branch of the Russian Academy of Sciences under NoNo. 9501, 1/9502-1/95297.